There’s a basis of truth in all fiction, they say. Though I can’t speak for everything ever written, I can attest that for my short story Name of the Game the statement couldn’t be truer. Years ago I had a girlfriend that indeed was married to a state trooper. Younger, braver and stupider, I had a taste of the forbidden fruit anyway. Rita (name changed to protect the innocent) had felt her husband had wronged her and was on a mission to get even with him. Though I’d thought that I had initiated the affair, I soon learned I was little more than an unwitting actor in a tale of marital revenge. Hope you enjoy the story. If you do, you might also like Big Easy, book 1 in my French Quarter Mystery series set in paranormal New Orleans. Rita used to wait for me at the door of the building where she worked. I would park close to the curb and linger until she came outside. Until that day, our routine was always the same. When I drove up, I noticed a powder-blue Mercedes had taken my usual parking spot. The car's nervous driver, a prepped-out, lawyer type with gelled hair, turned halfway around in his bucket seat to watch Rita leave the office complex. The man in the Mercedes watched us with interest and continued staring at us as we pulled away from the curb. “Today I want it hot and fast,” she said, turning the rear-view mirror and using it to touch up her lipstick. Rita crossed her legs, revealing more than a momentary glance of her shapely thighs. Talk of Rita's husband always made me uncomfortable. Sensing my discomfort, she leaned across the console and squeezed my leg. It was late autumn, a beautiful clear-blue day, and Rita’s grin was wicked when I braked hard to avoid a squirrel scurrying across the road. We barely spoke during the short distance to my apartment. The parking lot was empty, everyone at work, and we soon found a spot near the stairs. Fast and discrete. Just the way Rita liked it. She had her arms around me almost before I could lock the apartment door behind us. I’d left the air conditioner on high before leaving for work that morning and the room was cold as it was dark. Rita was neither, her eyes flashing. Already hot after having all the foreplay she’d needed during our lustful stroll from the front door. For the next five minutes, she clawed painful Xs in my back, yanked handfuls of hair from my head, moaned loudly, and squirmed like a woman possessed. When we finished she rolled off the bed, went into the bathroom, and closed the door behind her. She returned shortly, still totally naked, and carried a can of hairspray. As I got out of bed and pulled on my pants, Rita returned to the bathroom to brush her hair. This time she emerged looking ready for an urgent business meeting. Seeing I wasn’t quite ready, she tapped her shoe, waiting as I knotted my tie. Grasping my hand when I finished, she squeezed it and hurried me to the car. Because of lunch hour traffic, we found the return trip to her job much slower. Rita remained silent most of the way, although I could see she was miffed. She didn’t talk until we were almost there. Rita ignored my psychoanalysis, folded her arms, and turned her knees toward the door. I didn’t understand the issue and paused before answering. “That's not what we're discussing here,” Rita said, her voice rising. By now, her demeanor had diminished from silent composure to barely suppressed rage, and I still was not sure why. “Just let me off in front of the building,” she said. She had neither a frown nor smile on her face, only the empty expression of quiet frustration as she pointed at the curb in front of her building. She hurried across the busy street without a backward glance. When I phoned to apologize, she didn’t take my call. Three days passed, and then a week, without a word from Rita. Finally, no longer able to control my curiosity and hurt feelings, I drove to our old meeting place by her office and parked at the curb. From there, I watched, aware of a sudden rush of déjà vu as she walked out the door at exactly our usual time. I quickly realized why. Even though she recognized my car as she hurried across the sidewalk, she didn’t look my way or acknowledge my presence. Instead, she focused her smiling attention on a young man in a black BMW as he opened the passenger door to let her in. Once inside, she wrapped herself around him and gave him a sultry kiss. She knew I was looking, and I wondered if her lustful actions had been for my benefit. I never found out. As they disappeared down the street, I watched the young man cast a curious glance in his rear-view mirror. 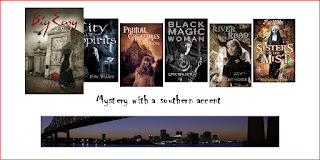 Born a mile or so from Black Bayou in the little Louisiana town of Vivian, Eric Wilder grew up listening to his grandmother’s tales of politics, corruption, and ghosts that haunt the night. 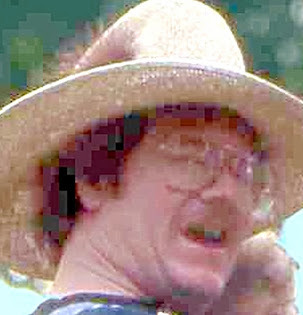 He now lives in Oklahoma and continues to pen mysteries and short stories with a southern accent. If you liked Name of the Game, please check out his Amazon, Barnes & Noble, and iBook author pages.